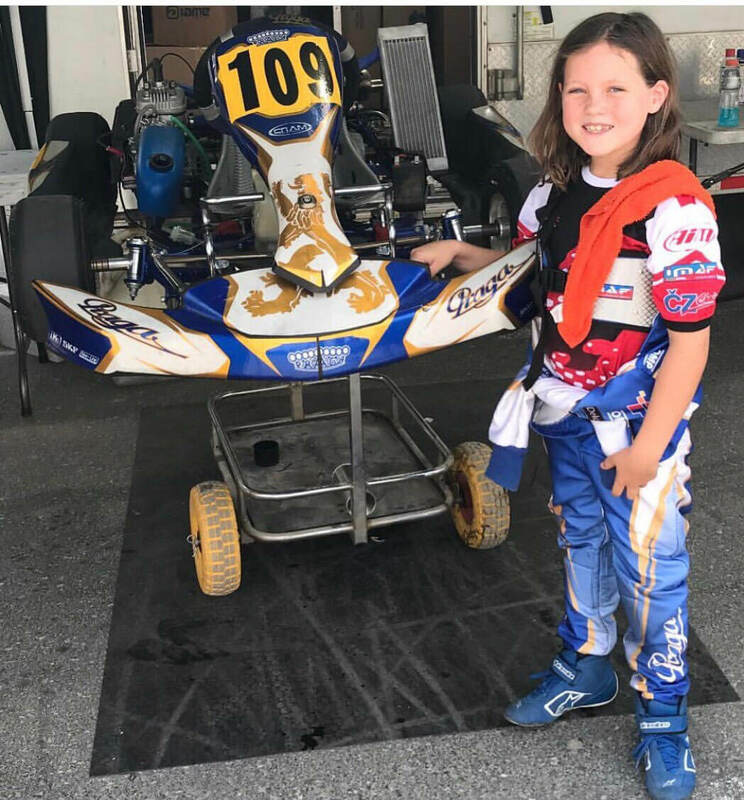 Year 5 pupil and karting superstar Gracie represented Bahrain in the IAME series in Dubai, and will also be taking part in 6 more races in the GCC over the 2018/19 season! According to her mum, “Gracie has always been a daredevil and has a love of adrenaline sports and the Formula 1. 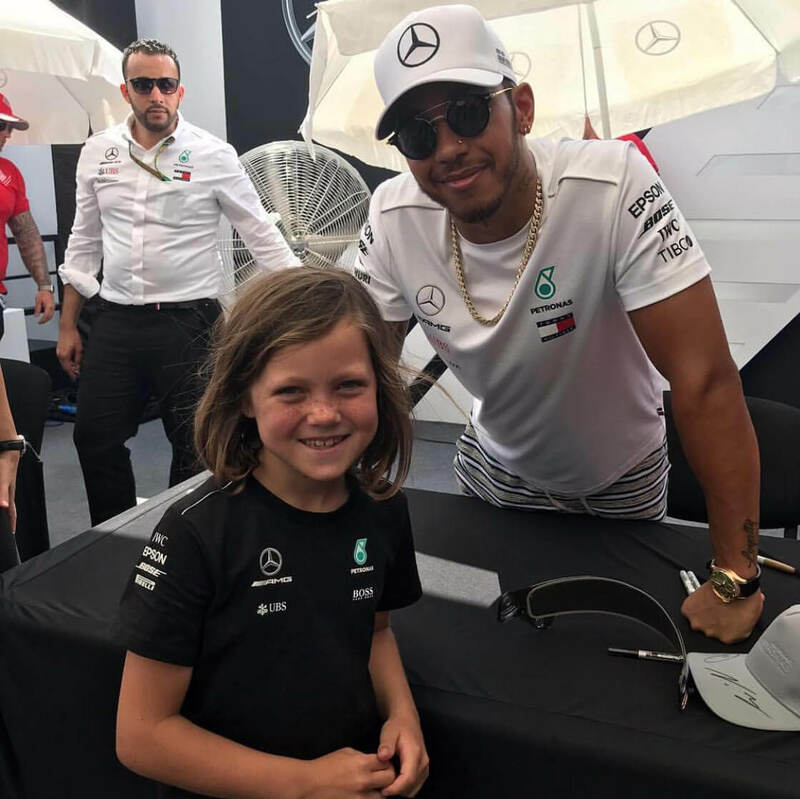 She was selected as one of the first grid kids in Bahrain, and was thrilled to be offered a chance to meet her racing idol, Lewis Hamilton!”. Gracie became addicted after attending a karting birthday party at the BIC when she was 8 years old. She took some lessons at the track on Saturday mornings (her car was padded with cushions because she wasn’t tall enough to reach the pedals! ), and it was during a lesson that she was spotted by the head of Absolute Projects, Bahrain. The team were so impressed with her driving skills, natural talent and fearless approach on the track, they they signed her as a team member to represent Bahrain. 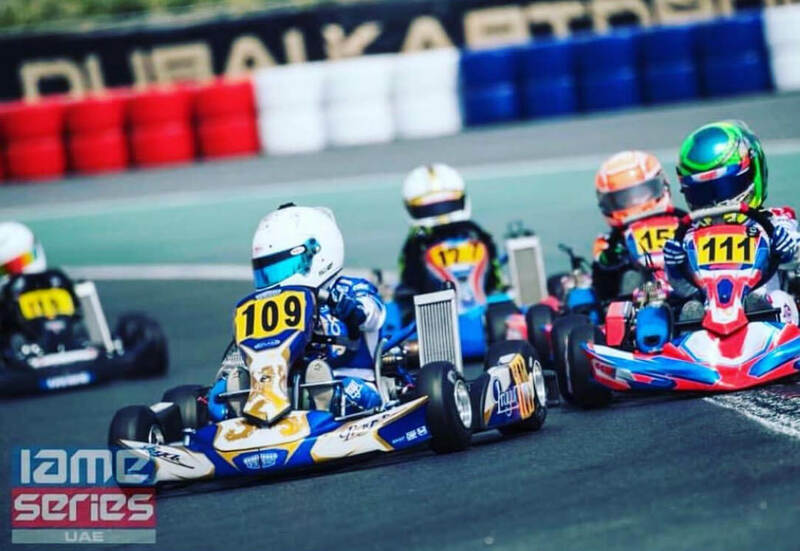 This was a huge achievement, not only because she was so young but because she is the only female kart racer in Bahrain. She missed the first two races of her first season but still managed to come 3rd in the overall championship! We would like to wish Gracie the very best of luck this season! Her first race of 2018/2019 Bahrain season takes place on Friday, 5th October at the BIC.